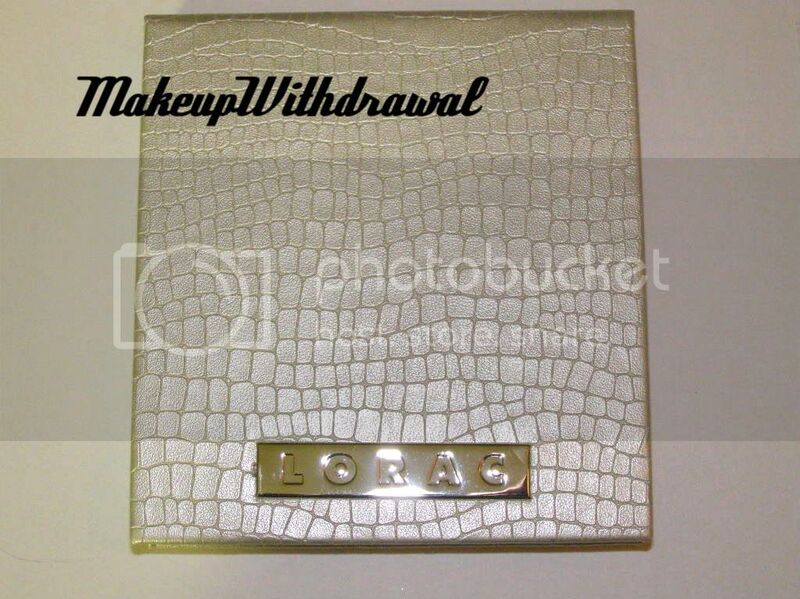 Last year, Ulta had a exclusive LORAC palette for the holiday season. I somehow missed it, since I wasn't really into LORAC back then. 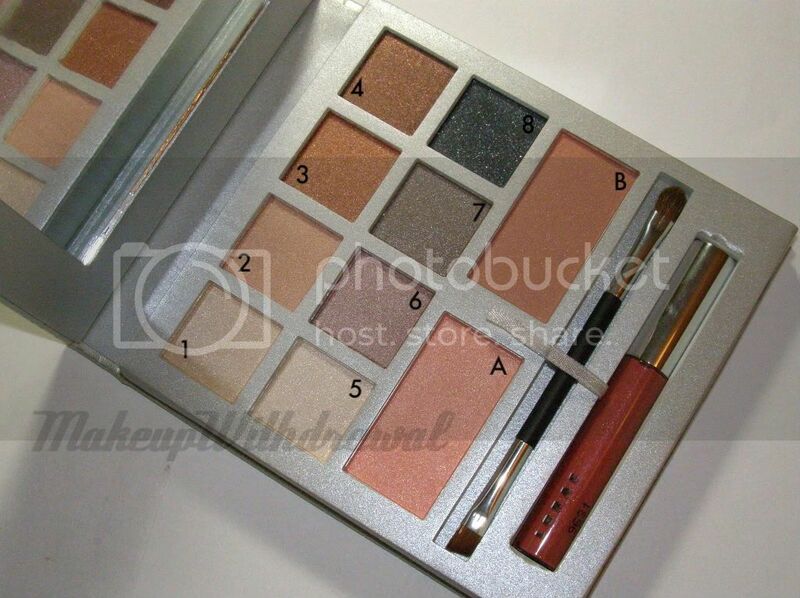 It was priced at $30 and contained eight eyeshadows, two blushes, a lip gloss and a double ended brush. I managed to procure (rather, my friend Mae managed to) it last week at the discounted price of only $15. Happiness is mine! I was so excited to get it just because of the many products it contains. This palette is housed in a soft, kinda slinky silver faux croc skin case with a pretty decent sized mirror on the back of the cover. There's four warm shadows and four shadows that are cooler. None of them are named, so I'll label them and describe them numerically. And the gloss is a thicker, very pigmented bright rose. Now, there is a downside. Everything in this palette is shimmery- everything. 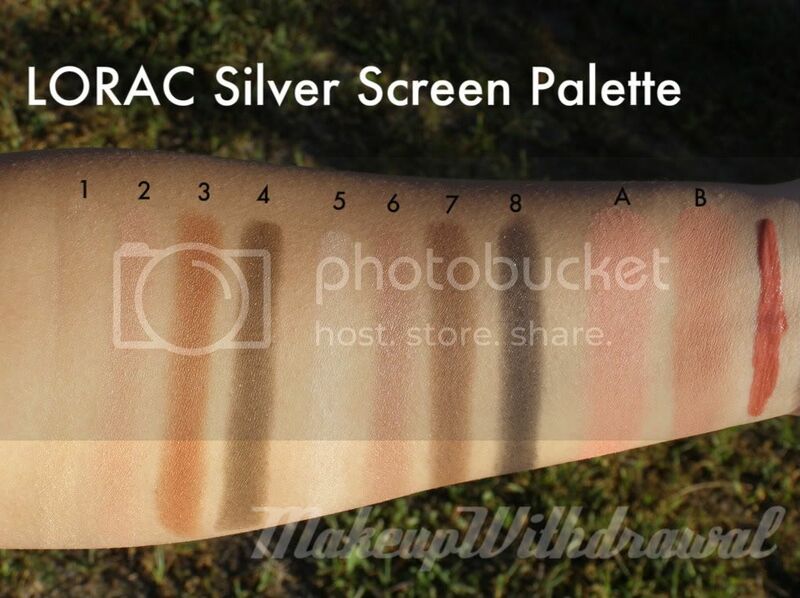 I wish they had thrown in a few mattes for variety, especially since LORAC does mattes quite well. Also, I feel like the powder products are a bit drier, much like the most recent Private Affair palette (did you miss it? I reviewed it for KarlaSugar, click here to read!) and not as creamy as the colors in the Sephora Multiplatinum, Croc, Snake Charmer, Pink Python etc palettes. I also noticed that the colors with bases and added sparkle (like 5 and 8) tended to separate really easy, it wasn't easy to apply them and maintain the sparkle. Still, the blushes and gloss are pretty nice and surprisingly so is the brush. Usually I just toss brushes that come with palettes away because they're so crummy, but I actually like this one. The bristles are soft but firm enough to work with and the cut is fairly decent- in a pinch you could definitely do a few different eye looks with it. 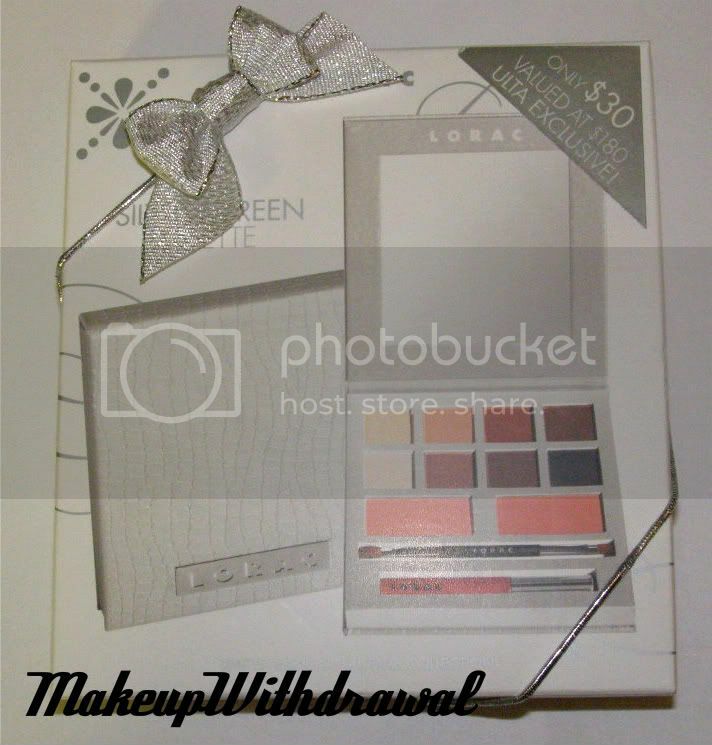 Overall, not a bad palette (especially not for the price) but this palette doesn't exactly showcase the quality that LORAC products can provide.